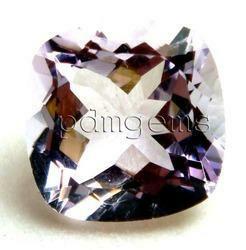 We are the renowned manufacturers of Pink Amethyst Gemstones from India. 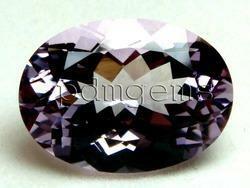 “Amethyst” one of the most beautiful semi precious stones. Its original deep purple color is what sets this stone apart from any other stone, and it is practically impossible to mix it up with any other crystal, or gemstone. 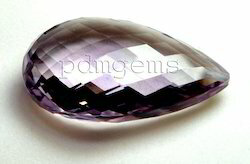 Amethyst is a variety of quartz and is characterized by its violet color. Therefore, by definition there can be no other amethyst colors. But in reality, things look differently. If the color of the amethyst possesses a touch of lavender or if it is light lilac and slightly grayish, it is classified as Pink Amethyst. While amethyst itself is known to be able to help alleviate all sort of addictive behavior, its pink shades can contribute to enhancing our love and tolerance. The pink color belongs to the region of the heart, and literary, this color together with the green most intensely influences the heart area of our body and corresponds to the heart energy center. If we had to summarize the meaning of pink amethyst we would say that the peace, warmth and harmony of amethyst are augmented by the lovely soothing touch of pale lilac or lavender tones in this crystal. 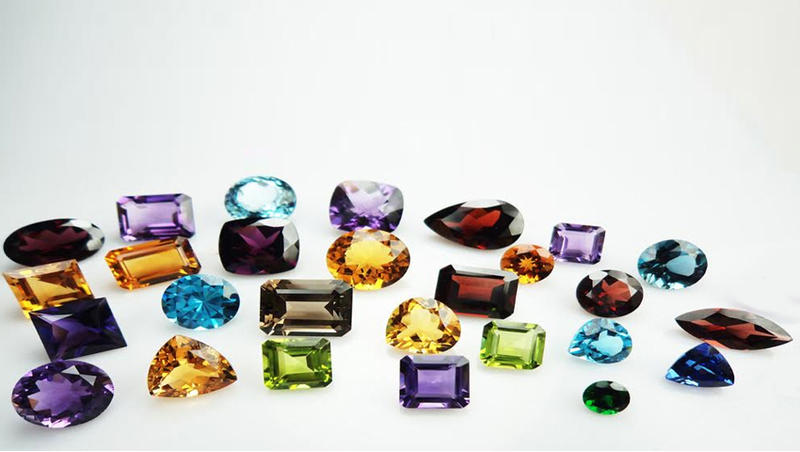 The value of Amethyst almost entirely depends on its color. 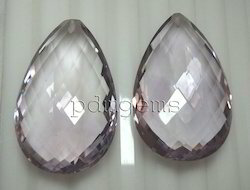 The light purple or “Pink” color of this stone is widely available in all shapes and larger sizes. The price per carat does not rise a considerable amount as the size / weight increases, making Pink Amethyst a gemstone that provides excellent value for money.